​Alterations are essential to maintaining the clothes you love and tailoring new clothes to fit just right. At A Touch of Class, we offer top of the line, quality alterations for all of our customers. We understand that sometimes our clothes need a slight change to fit our bodies perfectly! That’s why your San Rafael and Ross tailor proudly provides custom alterations to ensure that you always achieve your best look. Have you ever absolutely loved something in the store, but when you went to try it on, it didn’t fit perfectly? This is a great opportunity to have that piece of clothing altered. Alterations allow you to tailor an outfit to suit your body and style or to salvage an old piece of clothing and give it some new life! 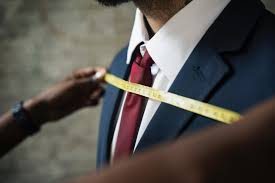 The alteration staff at A Touch of Class will pay specific attention to each detail of your clothing, the fabric its made of, and how you want it to fit the curves and angles of your body. This close attention to detail is to ensure all alterations to our customer’s clothing fit their needs and personal style. In addition, in an age of increased online shopping, alterations are the perfect way to confirm your clothes will fit well! For these pieces of clothing, our seamstress can lengthen, shorten, provide cuffing, take in seams, let out seams, and replace buttons where necessary. Pricing is available online and within our store locations. ​Contact Your San Rafael Tailor Today! A Touch Of Class is committed to providing the highest quality alteration services so that you can feel incredible in your clothing. Whether you’d like to make an old shirt fit better, or tailor a brand new dress to your exact specifications, you can be sure of the quality and satisfaction you’ll receive from us here at A Touch Of Class. For all of your alteration needs, contact your San Rafael tailor today. We can’t wait to help you achieve your best look!